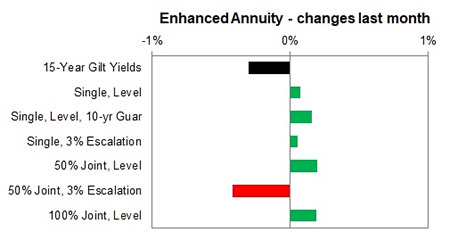 Annuities rise slightly during the month as investors were optimistic the ECB would confirm the process to end the asset purchase programme only to find the timetable has been pushed back. The 15-year gilt yields are higher by 3 basis points during the month after reaching a high of 1.69% and reducing back to 1.53%. 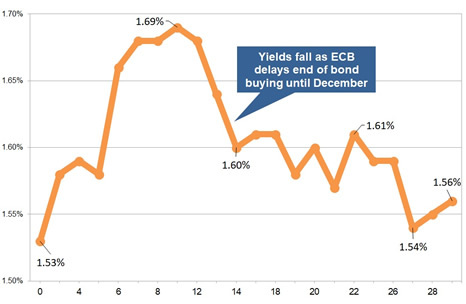 The rise in yields was due to investors selling bonds in anticipation the European Central Bank (ECB) would confirm the end of the asset purchase programme only to find the timetable has been delayed until at least the summer of 2019. 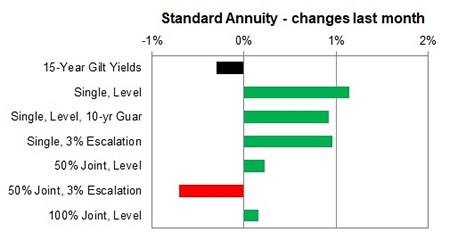 The 15-year gilt yield increased by 3 basis points to 1.56% during June 2018 with providers of standard annuities increasing rates by an average 0.68% for this month and we would expect rates to fall by -0.98% in the short term if yields do not fall. 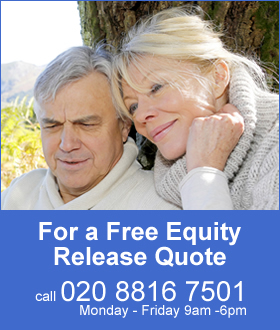 For smoker and enhanced annuity providers have increased their rates by an average of 0.08% and rates may fall by -0.38% in the short term if yields do not fall. For the month of 31% of annuity rates increased by up to 5.3% with 61% remaining unchanged and 8% decreasing by up to -5.4%. Standard annuities increased by an average of 0.68% during the month. The largest rise was for those aged 75 based on a single life with 3% escalation up by 5.3% for the month with the largest decrease for those aged 55 on a single life and and 50% joint life with 3% escalation basis down -5.4%. For enhanced and smoker the majority of rates increased by 0.08% for the month on average. The largest rise was for those aged 60 based on a 100% joint life up by 0.4% for the month with the largest decrease for those aged 55 on a 50% joint life with 3% escalating basis down -3.7%.